If you’re like most people (including me! ), you were probably not familiar with the concept of drama therapy before landing on this page. That’s a real shame, and you’ll see why by the end of this piece. Drama therapy is an established and validated form of therapy that can be applied to a wide range of participants (as clients are generally called in this treatment modality) in an even broader range of issues, problems, and disorders. The evidence backing its effectiveness is compelling, as is the intuitive reasoning behind its appeal. It is rooted in instinctive human behaviors and need fulfillment, and takes advantage of some of our inherent desires to enact positive change and promote healing. Curious about drama therapy yet? Good! Read on to learn what drama therapy is and why it is a form of treatment with such exciting potential. Drama therapy is a type of therapy that uses theatrical techniques and concepts to bring about meaningful change. It gives clients a way to express their feelings, interact with others, and rehearse healthy behaviors. “the intentional use of creative drama toward the psychotherapeutic goals of symptom relief, emotional and physical integration, and personal growth” (1982). 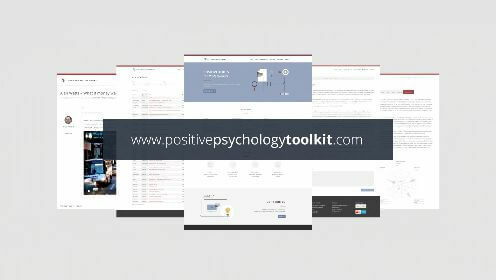 It is intended to help participants explore their inner experience and break them out of any rigid roles or frameworks they have been limiting themselves to. They can express themselves while sharing a new side to their personality, or dig up an old one long forgotten. Drama therapy was first conceived as a therapeutic approach called psychodrama by psychiatrist Jacob Moreno (Good Therapy, 2015A). Moreno was born in 1889 in Romania and raised in Vienna, where he earned his degree in medicine and began practicing as a psychiatrist. In 1925, he moved to New York City, where he practiced psychiatry and experimented with some of his more odd and innovative ideas. Psychodrama was one such idea, an idea that went against the grain of current psychology, given its focus on the present and the future rather than the past (a la Freud and his successors). The session focuses primarily on one person, the protagonist. Participants act out their emotions by reacting to others. Participants use techniques like mirroring the protagonist’s behavior and role reversal to better understand their feelings and behaviors, as well as the feelings and behaviors or others. Spontaneity and creativity are emphasized as propellers of progress and development (Good Therapy, 2015B). From Moreno’s psychodrama technique, what we now call drama therapy was born. People noticed that drama facilitates the expression of difficult emotions and provides psychological distance from the trauma or suffering that a participant is working through, and they applied these truths from the world of theater to the realm of therapy. While psychodrama focuses on an individual—the protagonist—drama therapy can be applied to individuals or groups and can provide therapeutic opportunities for all participants in each session (HealthPRO, n.d.). During the 1960s, as a new focus on humanistic approaches over the more traditional psychoanalytic framework began to take shape, drama therapy offered adventurous psychologists a way to treat clients through theater that revolved around the actor’s experience instead of the audience’s (Johnson, 1982). The field really began to take shape when the American Dance Therapy Association formed in 1966 and the American Art Therapy Association followed soon after in 1969. The North American Drama Therapy Association was established in 1979, giving drama therapy a specialized organization to gather their knowledge and centralize the research, practice, and sharing of information (Good Therapy, 2015A). Improve overall quality of life (Good Therapy, 2015A). The check in – in this first component of the session, participants will check in with the therapist and share how they are feeling today. The warm-up – the warm-up activity is meant to get the blood flowing as well as participants’ creative juices; it should help get everyone engaged, mind and body. The main activity – this is the biggest component of the session and the focus of the therapeutic work for the day. Closing – closing out the session offers an opportunity to discuss how the session went for each participant and reinforce any lessons learned or objectives achieved (Counselling Directory, n.d.). If you’re curious about what happens during the warm-ups and main activities, the next section is right up your alley! Continue on to read about the techniques, exercises, and activities used in drama therapy. The processes and techniques used in drama therapy are varied and will likely be unfamiliar to a psychologist who has not studied this specific form of therapy. Drama therapy uses exercises rooted in theater to help participants express themselves and gain new insights about themselves and others. Dramatic projection – a technique that allows participants to project their inner feelings and work their issues out onto a role or object. Personification and impersonation – two different techniques in which participants can express their own personal material through role play or onto an object. Interactive audience and witnessing – refers to the participant, the group, and/or the client in the role of audience or witness. Playing – an attitude characterized by spontaneous problem-solving, in which a play space is staked out, objects are actively repurposed into new roles, and allowances are made for changes. Drama-therapeutic empathy and distancing – the ability of the participants to engage or disengage with the material that resonates with their personal problems and inner conflicts. Life-drama connection – a process in which participants analyze their personal problems or issues through dramatic projection. Transformation – an inherent aspect of much of what happens in theater and in play, built right into the structure of telling a story. Embodiment – the physical expression of personal material (can be actual or envisioned). Therapeutic performance processes – these processes refer to the therapeutic use of theatrical performance to work through the participants’ personal issues and themes (Jones, 1996). Aside from these core processes, there are other techniques that may be employed in drama therapy. Some of the most common techniques are described below. Although this is more of a constant theme and focus of encouragement from the therapist, it’s worth mentioning as a technique on its own. Throughout treatment, the drama therapist will try to poke, prod, and provoke the participants into developing and applying their creative nature (Johnson, 1982; Jones, 1996). Role playing allows the participant to alter their mindset, act out in new ways, and connect their own experiences to those of another person (whether that “other” is real or imagined, a near-perfect copy of the participant or someone completely different). There are two main types of roles that a participant may play. A scripted role gives the participant the opportunity to act as another person, usually based on a script or text describing the individual. The participant studies the role and attempts to understand the individual, and he or she often finds that they can relate to certain factors in the character’s experience. Unlike the scripted role, participants acting out an improvisational role are given minimal guidance on the character and allowed to create their personality spontaneously. The actor in an improvisational role will undoubtedly draw from his or her own experiences, memories, and assumptions to create a personality, making it an exercise in self-expression—whether the actor is aware of each aspect of his or her self that seeps through or not (Johnson, 1982). Most of us have an inherent desire to tell our story to others, whether through spoken word, written word, music, or art. This technique capitalizes on this desire to tell a good story and allows us to form new narratives and practice getting our message across to others. Talk therapy itself is a sort of storytelling, in which the client composes, alters, and refocuses his or her own stories with the therapist as the audience. The simple process of telling your story can bring a surprising sense of catharsis and facilitate a new understanding of yourself and your experiences. However, storytelling can also be used to construct hypothetical (or not-so-hypothetical) situations and explore the various ways the story could end. In this technique, the client is in a position of leadership concerning the characters, the situation, and the resolution, allowing him or her to work through their own experiences and find healing (Miller, 2011). While storytelling most often involves speech, it can also be accomplished through movement, the written word, and other forms of expression. Projective play is generally used with children, although it can also be applied to adults with developmental disabilities and others. This technique uses dolls and toys to allow children to express and project their feelings through the props they have at hand. Projecting themselves onto the external world through play is a sign of healthy development, and failure to do so can provide valuable insights into what the child is struggling with. A similar technique can also be used with adults, although generally this is done with props instead of toys. The use of props is a prominent feature in drama therapy and offers participants versatile ways to use the things around them to express themselves. Props can be used for a wide range of purposes, from simply giving the participants a tool to utilize in their role to holding symbolic meaning and representing an experience, individual, or concept that is vitally important to the participant. One of the most basic and fundamental human behaviors is movement. The use of movement in a therapeutic manner is also found in art therapy, interpretive dance, and other activities humans devised to express themselves. Miming is an activity you are probably already familiar with; if you’re like me, the word “mime” brings to mind a person dressed in black and white, with a white face and black beret to match, silently acting out a routine. Of course, miming doesn’t have to involve face paint and black suspenders—miming is essentially movement replacing speech in acting out a scenario or portraying emotion. This technique requires the use of body language alone, which may bring up new thoughts, feelings, and perspectives for the participants (Counselling Directory, n.d.). This process refers to the opportunity that drama therapy provides for participants to act out negative behaviors without facing the consequences. In this safe space, they can act out those behaviors they engage in that are harmful, and face those behaviors directly and truthfully. This technique is especially helpful for participants suffering from addiction, as they can engage in a thoughtful consideration of their addiction behaviors without actually backsliding (Blank, 2010). In addition, acting out can be extremely helpful for participants who have engaged in other harmful behaviors or actions that have caused them problems in the past. It is often difficult to dig up these old experiences and the emotions that go along with them, but this technique is applied with the hope of discovering why you acted the way you did and why the negative outcome occurred, as well as learning how you can choose a different path in the future (Counselling Directory, n.d.). It may sound counterintuitive, but sometimes wearing a mask is the best way to be yourself. Donning a mask can help participants feel safer and more secure, as well as giving them yet another way to express themselves and share their feelings with others non-verbally. To represent two sides of a conflict or dilemma. To express one’s identity in a group. To explore dreams and imagery. To express a social role. In addition to wearing a mask within the therapeutic process, it may also help for participants to create their own mask that reflects their experiences or matches how they feel. This is a great opportunity to both express themselves and engage their creativity. If you’re interested in trying some of the techniques from drama therapy, you’re in luck—there are tons of resources out there to draw from! A sampling of these resources and the activities, games, and exercises they describe are outlined here. In this exercise, the goals are to break the ice between group members, provoke a range of emotions, and warm the group up for interactions. “Imagine your backs are speaking to each other about trivial, everyday life matters. You exchange ideas, make light jokes about things, share experiences, etc. Eventually, a mild discrepancy between you arises which increases gradually into a discussion. An intense conflict is revealed which turns into an angry argument. You both hold to your positions: it is a matter of principle and you are not willing to give up! Finally, you realize that it was all a misunderstanding, a big mistake. You just didn’t understand or hear each other properly. Now everything is mended, you explain yourselves to one another, you make up. You’re just two loving, caring human beings.” (Pendzik, n.d.). Next, the fun part! The participants will act out the instructions from the facilitator, but only using movements of the back. They cannot speak or turn to look at each other, raise their arms or use their legs and feet to nudge one another; they can only use their backs. As you can imagine, this exercise can help participants warm up, get them into their bodies, and help them connect their feelings to their movements. You can find this exercise on page 3 of Dr. Pendzik’s Drama Therapy Exercises resource (please note that clicking this link will start a download of this resource in PDF format). This exercise is intended to encourage creativity and spontaneity in participants, foster better listening skills and collaboration, and help participants get to know one another. To give this exercise a try, get the group in pairs again. Instruct participants to take turns describing their house to their partner, and to pay attention when it is their partner’s turn to speak. Once both partners have given a description of their house, they will have an opportunity to draw their partner’s house. The drawing is not intended to be an especially accurate picture of the partner’s house, but a subjective impression of the house based on what they were told about it. If a certain aspect of their partner’s description caught their attention, the individual can focus their drawing around that. Next, the partners trade drawings and look over them, discussing the process and the outcome with one another. After a brief discussion, the pair is instructed to find a place on the wall to hang their drawings together, as if they were an art exhibit. They will leave a pencil and a piece of paper next to their display, then all group members will leave the room. Once all group members have left the room, they will re-enter with the direction to act as if they are visiting a museum. They will stay in their pairs, walking around the room and considering the drawings, and leave their ideas about what kinds of inhabitants live in each house. Once all group members have visited each drawing, they will go back to their own drawing and look at the ideas they received. The facilitator instructs them to choose one of the suggestions to try out today, and share the suggestions they received and the one they chose with their partner. They should also come up with a brief description of the character they chose and share that with their partner as well. When both partners have shared their characters and descriptions with one another, they are to arrange a meeting of their characters. The pairs will need to decide where they could meet and what they would each be doing. After each pair has settled on these descriptors, they must decide how they would like to present their play to the group, as a poster, a series of still pictures, a preview/trailer, or a fragment of the scene. Finally, each pair will have an opportunity to present their piece to the group, and the group will engage in a discussion of the exercise overall. How was it for me to get someone else’s perspective of my house? How was it for me to try to imagine my partner’s house? Is the character I played connected with my life? If the play we created was a dream I dreamt, what would be the meaning of it for me? This long and multi-phase exercise requires commitment, but it rewards participants with some great insights about themselves and other group members. You can find it on pages 4 to 6 of Dr. Pendzik’s PDF. This exercise will encourage participants to explore any hidden emotions within their own life story, help them develop their imagination and creativity, and facilitate awareness of the emotional charge in names. To prepare for this activity, all you need is some paper and pencils or pens for participants to use. The facilitator will instruct each group member to find a place in the room or general area to sit comfortably by themselves and write. They are to write down every name they can think of that they have been called in their life, whether it is a maiden name, nickname, role-based name (like “teacher”), pet name, or any other kind of name or title. For each name, the participants should add a positive (+) or (-) sign beside it, representing whether you have a positive or negative association with the name. Each participant will then choose one name to explore today. The facilitator should assure participants that the meaning behind the name can be kept hidden. On the other side of the page, the participants will write the name backwards. Participants should consider this new, backwards word and think about what language it might be—it can be a real language or a made-up language, it doesn’t matter which. Next, the participants will think about what this word means based on how it sounds, and write a dictionary definition of the word. Once they have their definition, they will create a sentence using the word, one that makes sense given the definition they came up with. After they have written the sentence, they are instructed to imagine the sentence in a paragraph and write the paragraph down as well. Now, when participants have their fully formed paragraphs, they should think about where they would find such a paragraph—a book? A newspaper article? A website? Wherever they decide this paragraph came from, they will write a brief description of the source. Finally, with all their written material in hand, participants will form in groups of three or four and share their work. The group will choose one paragraph and source description to act out as a scene for the whole group. Once each group has presented their scenes, participants can process their experience. Is the story that emerged from the name’s reversal connected to the name’s meaning in any way? What feelings came up for me as I played with the new word created from the name? Is there anything I want to share about the process of choosing the name? Is there anything I want to share about the process of choosing one of the paragraphs to present? What happened for the participants whose stories were chosen, in the translation from text to drama, from individual work to collaborative work? Completing this exercise will help participants find the meaning hidden within the names they have been known by and discover their own creative abilities. This exercise can be found on pages 6 to 8 of the same PDF referenced above. In this resonance exercise, the goals are to guide participants to examine an inner conflict from a new perspective, develop their listening skills, and learn and practice Playback Theatre techniques. Once the magic word has been spoken, the sculpture will come alive; the two participants that make up the sculpture can move, talk, and act in whatever way seems most fitting for the situation. They will be given one or two minutes to act out the scene while the third partner watches, then freeze back into a sculpture to finish the exercise. The two sculptures should take their performance cues from the third partner’s story and the physical position they were placed in rather than inventing any characters or conflict themselves. The point is to mirror the conflict back to the author as clearly as possible, without trying to solve the conflict or address the problem in any way. You can find this exercise and more examples of resonance exercises starting on page 9 of Dr. Pendzik’s PDF resource. In this exercise, two participants act as themselves, but at a future point in time. They must create a scene in which they are meeting by change at a specific time and place. They should improvise in their scene, spontaneously responding to one another. They must act out recognizing and greeting one another, then move on to talking about what they’re doing now and about the drama therapy group they were once in. The focus is on reminiscing back (to the present) on their experience in the group and what they learned, gained, or achieved during their time in sessions. The purpose of this exercise is to encourage participants to think about how they have grown, developed, and changed for the better through their drama therapy work. If done too early, the focus may be on projection into the future rather than reminiscing on the good things they have accomplished so far. This exercise comes from Renée Emunah’s Acting for Real, and it can also be seen on page 32 of this resource titled “Collection of Theatre Activities and Games” from Emily Nussdorfer. Please note that this link will also initiate an automatic download the Microsoft Word document described. Story summation and titling (Whipple, 2012). The right exercises and techniques will depend on each participant’s unique issues and needs, but those listed above are some of the ones you are most likely to encounter in drama therapy sessions. Drama therapy is not only helping adults with issues like depression, addiction, and personality disorders; it’s also being applied in two disparate places, but with similarly encouraging results: schools and prisons. 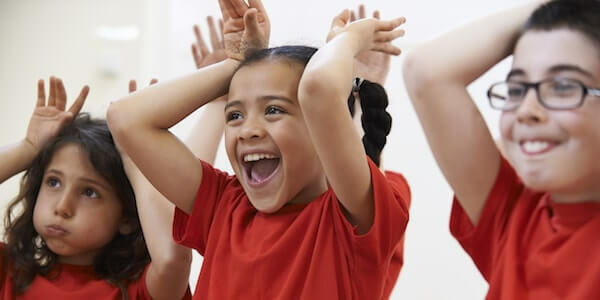 Schools around the country (and the world) are adding concepts and exercises from drama therapy to their curriculum, or hosting dedicated drama therapy programs as extracurricular activities. One such program is Diana Feldman’s ENACT method, which places specially trained actors into classrooms to interact and engage with the students. Their goal is to create a “safe container” for students in which real-life issues can be explored and addressed. At the pace that is right for the students, the actors present customized, real-world scenes of conflict that the students likely see in their own lives (Freeling, 2015). The issues must be relatable but at a “safe distance,” meaning no student feels singled out. The scenes are supervised by licensed professionals to ensure they are presented safely and effectively. They must avoid coming off as “preachy” or overly authoritative. The scenes also take advantage of young students’ taste for humor, as they are often able to point out and mock silly or non-constructive behavior by the actors in the scenes. The intention is to get them laughing but engaged and guide them towards learning the lessons within each scene and applying them to their own lives. 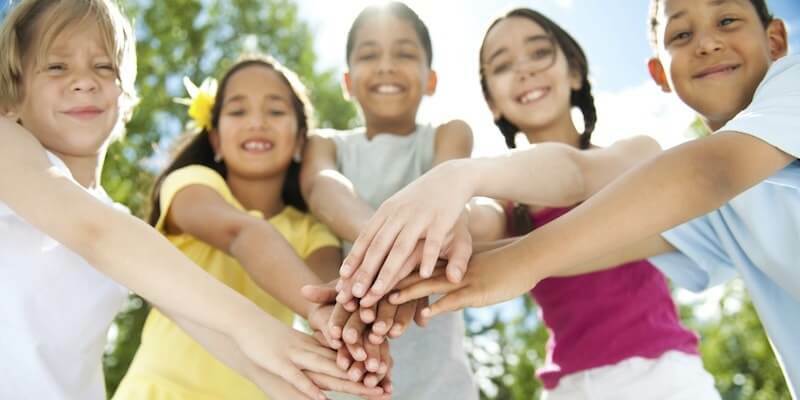 So far, it looks like the program is making these intentions happen; studies on the program’s effectiveness showed that it improved students’ verbal and non-verbal expression and increased their demonstrations of trust, focus, engagement, collaboration, and cooperation with peers and adults. Some schools are even seeing decreases in behavioral problems and improvements in attendance, grades, and test scores (Freeling, 2015). Another drama therapy program that applies the techniques and exercises with students is located in Lawrence, Kansas, and focuses on encouraging creative growth and fostering positive mental health. It is specifically designed for middle- and high-school students who struggle with social and emotional issues, offering them a safe place to work through their issues and practice their creativity (Burkhead, 2014). Although the results of these experiments are still preliminary, it looks promising. Drama therapy can help students gain social skills, connect with others, and develop empathy and improved emotional management skills—all useful skills and abilities to have! Drama therapy is not only helpful for neurotypical students, it’s also applicable for those on the autism spectrum. The use of acting, role playing, movement and body language, and focus on learning how to interact with and interpret the communications of others makes it a great fit for those with Autism Spectrum Disorder (ASD). Dramatherapy sessions gave participants a safe place to explore their feelings. Participants felt included and made friends with their peers in sessions. Role playing provided participants with a “short cut” to learning about and practicing social skills. The predictability and structure of the sessions helped participants feel less anxious. The positive outcomes from drama therapy sessions permeated through the entire family and support system (Godfrey & Haythorne, 2013). Displayed brain-frequency levels similar to children without autism. Were better able to recognize and remember faces, something that children with ASD often struggle with. Were also better able to manage their stress, another thing that children with ASD generally find difficult to do. Found it easier to understand different perspectives. Improved their ability to play cooperatively, share, speak with respect, communicate while smiling, and say appropriate pleasantries (McKenna, 2016). Drama therapy helps children with ASD in several ways. It forces them to face other people and respond to their feelings, but makes it fun and exciting. Role playing exercises give them a safe space to explore responses and choose appropriate ones. Acting out real-world situations in the safety of a theater context allows them to practice their skills, and improvisation forces autistic kids to ditch the “scripts” they often come to rely on in social situations, fostering increased flexibility in thinking and behavior and challenging their generally concrete thinking styles (McKenna, 2016). As schools are increasingly adding modules and lesson plans on social skills, we may find that the benefits are even greater for children with ASD than their neurotypical peers. The positive outcomes of drama therapy are not limited to schools and those with diagnosed disorders; they are also playing out in what may seem an unlikely place: prison. Although the idea of inmates putting on a play might seem incongruous with the bleak, hardened view of prisons we are often presented with, the application of drama therapy techniques has proven to be a promising method of treating and rehabilitating those forgotten or shunned by society. Drama therapy offers prisoners the same opportunities as it does to any other participant: to tell their stories, to find healing from the trauma they have suffered, and to develop the skills they need to function independently and interact appropriately with others. 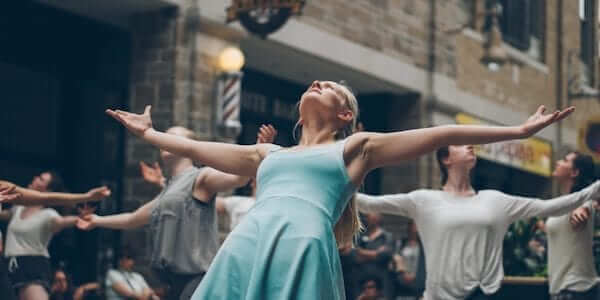 But in addition to the usual benefits, drama therapy provides prisoners with opportunities unique to their situation: to rediscover and celebrate their own humanity and to connect them with the outside world (Stephens, 2010). 70% of men who took part in drama workshops at Iowa’s Mount Pleasant Correctional Facility displayed significant improvements in their relationships with peers and authority figures. Nearly all inmate respondents to a survey on the Theater in Prisons Project (TTIPP) reported reduced tension in the correctional institutions, improved interpersonal and communication skills, enhanced self-confidence, and an expansion in the options inmates felt were available to them, both inside the institution and after their release. Nearly 60% of participants in the Rehabilitation Through the Arts program at Sing Sing Correctional Facility in New York went on to earn a degree beyond the GED while incarcerated and were more likely to engage in college programs overall. The Skills through Drama program at the New York State Psychiatric Institute resulted in similar outcomes, with the number of inmates and ex-offenders participating in a GED program more than doubling; in addition, over 70% of participants were regularly employed and had not been charged with a second offense at the end of the seven month study, while the national recidivism rate is around 85% for the year following release (most of those occurring within the first four months). Programs conducted by the Actors’ Gang Prison Project, an outreach arm of actor Tim Robbins’ The Actors’ Gang theater troupe, resulted in an 89% decrease in disciplinary incidents for those who participated (Gardner, Hager, & Hillman, 2014). It seems there is something about drama—the opportunity to both express yourself and explore the experiences of others—that offers inmates a unique and powerful form of healing. If you are interested in learning more about how to apply your knowledge and skills to such endeavors, the next section describes paths to certification in drama therapy. Generally, one becomes a drama therapist much the same way as any therapist achieves their licensing: they go to school for psychology, sociology, or social work (it’s usually one of these three, anyway), graduate, pass a licensing exam, and register with the proper authorities. However, there is some specialized training that must be undertaken to become a registered drama therapist, or RDT. To learn more about the process of becoming an RDT, check out NADTA’s information page on it here. For continuing education, alternative training, or supplementation to their existing training, current and aspiring RDTs can find information on both physical and online courses and classes they can look through NADTA’s post-grad and alternative training programs page by clicking here. In addition, there are more informal and hands-on workshops, seminars, and trainings available for the curious. Visit NADTA’s information page on such programs here or the Creative Alternatives of New York (CANY) webpage here. As noted earlier, the North American Drama Therapy Association is the largest and most active association focused on drama therapy. To explore what they do and learn more about drama therapy, you can visit their website here. There is also a UK association for drama therapy called the British Association of Dramatherapists, or BADTH. You can read more about this organization and what they do here. Both associations have upcoming annual conferences on drama therapy. NADTA’s conference is the 39th such annual conference, and it will be held on October 25th through the 28th, 2018, in Kansas City, Missouri. The theme of this conference is “Beyond the Fourth Wall: Engaging Therapeutic Performance to Expand Our Impact on Communities. Click here for more information. BADTH’s conference is held from September 7th through the 9th, 2018, in Cheshire. This year, the theme is “Identity: Moving, Progressing and Coming Back to Self.” Click here to see the plan for the 2018 conference. In this piece, we learned what drama therapy is, covered a brief overview of its history, described some of the most salient techniques and exercises, and explored the potential benefits for neglected or troubled populations, including schoolchildren, children with ASD, and inmates. As always, I hope you learned something new from this piece, but the most important takeaway from the information presented here is really about the transformative power of the arts. Drama therapy and other types of therapy that focus on the arts provide those who are suffering with opportunities to heal that are rooted in basic human needs and desires: to express oneself, to share your story and your message with others, and to connect with those around you on a deeper level. Such forms of therapy have enormous potential for all who struggle but are particularly promising for those who are in greatest need of self-expression and healthy interaction. What do you think is so compelling about drama therapy and other forms of therapy based on the arts? Have you ever participated in drama therapy, as a therapist/facilitator or as a participant? What was your takeaway from the experience? We want to hear from you, so feel free to utilize that comment box below! Jones, P. (1996). Drama as therapy: Theatre as living. London, UK: Routledge. Landy, R. J. (1986). Drama therapy concepts and practices. Springfield, IL, US: Charles C. Thomas. There is some information on this blog that is not exactly correct – in part because the information was not taken from articles BY drama therapists, but by others. For instance, while psychodrama is used by drama therapists and many of Moreno’s theories and ideas are important to drama therapists, psychodrama is an independent creative arts therapy on its own, which requires a great deal of training to practice. Drama Therapy uses fictional and nonfictional drama techniques, performance as well as group-only process-oriented situations. The founder of drama therapy in the U.S. is Austrian actress Gertrud Schattner who moved to the U.S. after WWII. A lot of the information included on drama therapy in prisons is about non-drama therapists working in prisons. One of the most successful drama therapy in school programs — besides ENACT — is the ALIVE program in New Haven and Minneapolis. The program mentioned in Lawrence, Kansas is no longer in existence as the drama therapist who ran the Therapeutic Classroom retired three years ago. Drama therapy work is done with all populations and age groups and is used as a psychotherapeutic intervention as well as a wellness method. As a side note, incorporating drama therapy into psychotherapy requires training. Because drama therapy methods are so effective at engaging clients, if you don’t understand how to utilize techniques like distancing, you can “open doors that you might not be prepared to shut,” as the great Patricia Sternberg, RDT often said.